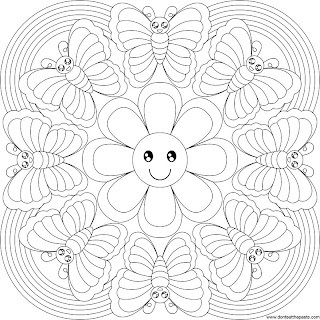 But it's still cold, and wintery and not anywhere near spring. 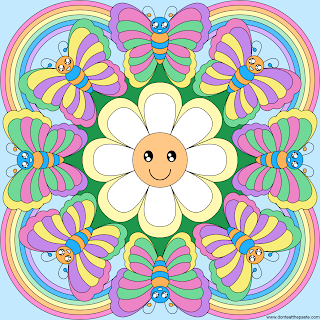 Hopefully this butterflies, rainbows and flower mandala to color helps you feel in a spring mood too. 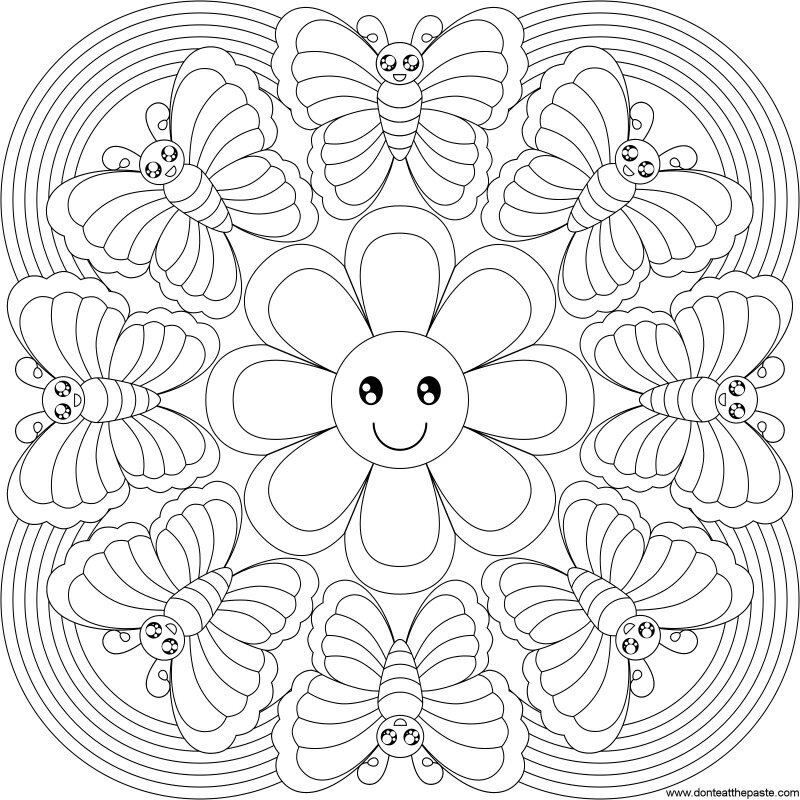 Click on the images below for a larger version to print and color, or use for embroidery or whatever else you might want to use a happy butterfly and flower mandala for! 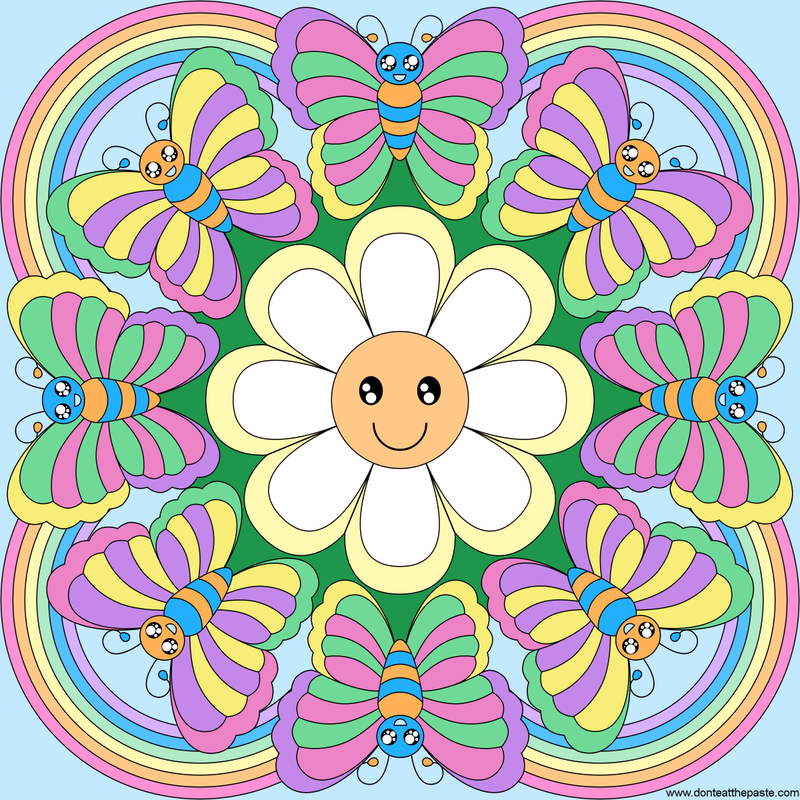 Thanks, Shala, for this cute mandala!